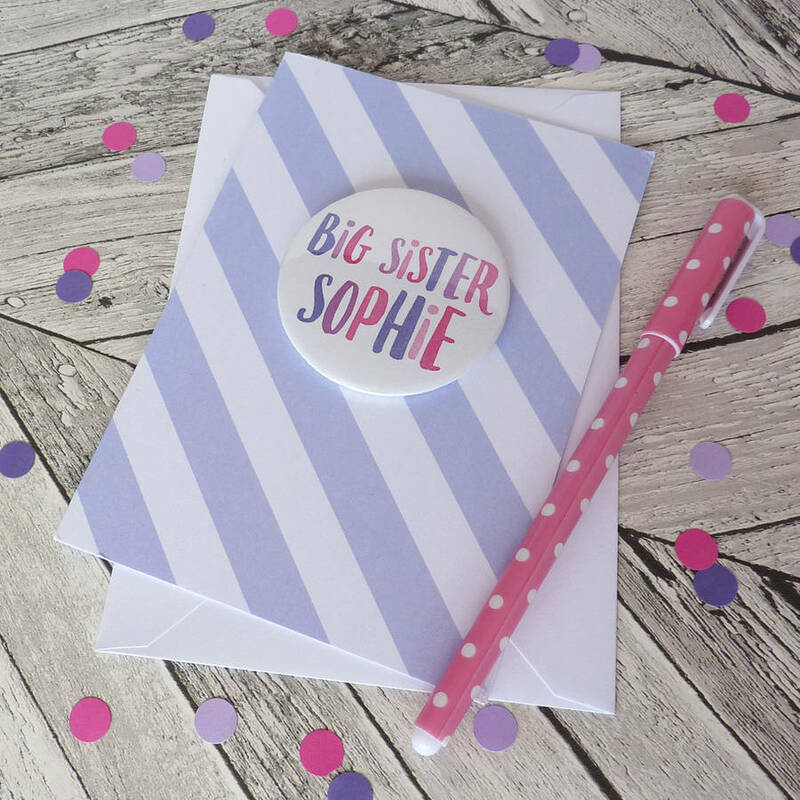 Share the exciting news of a new baby arriving to older siblings with our lovely 'Big Sister' personalised card. A great fun way to prepare for the arrival of a new little brother or sister. 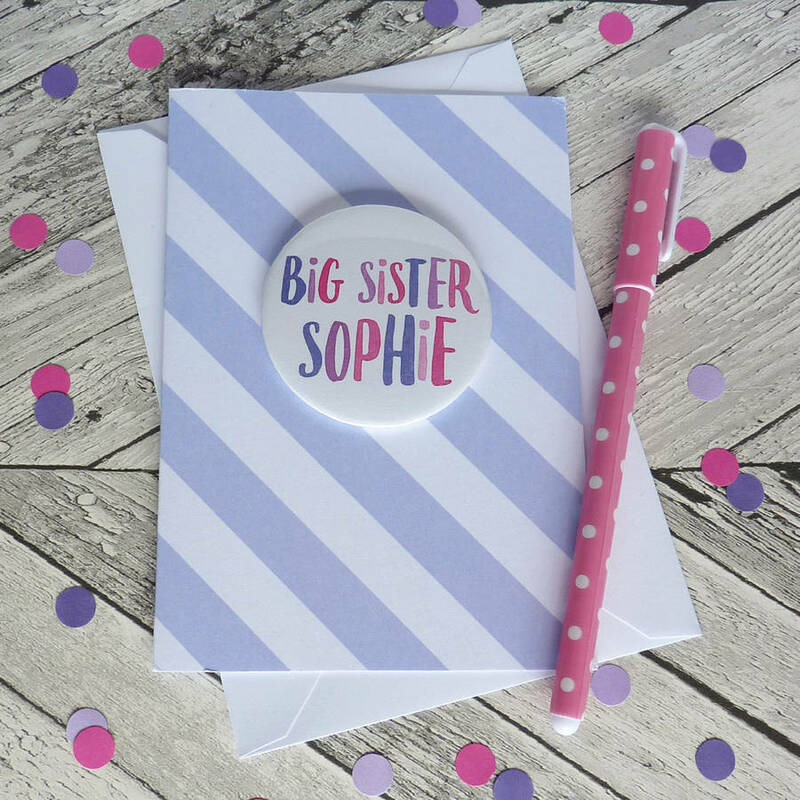 Helping to include an older sibling in all the excitment and planning, making them feel very important. 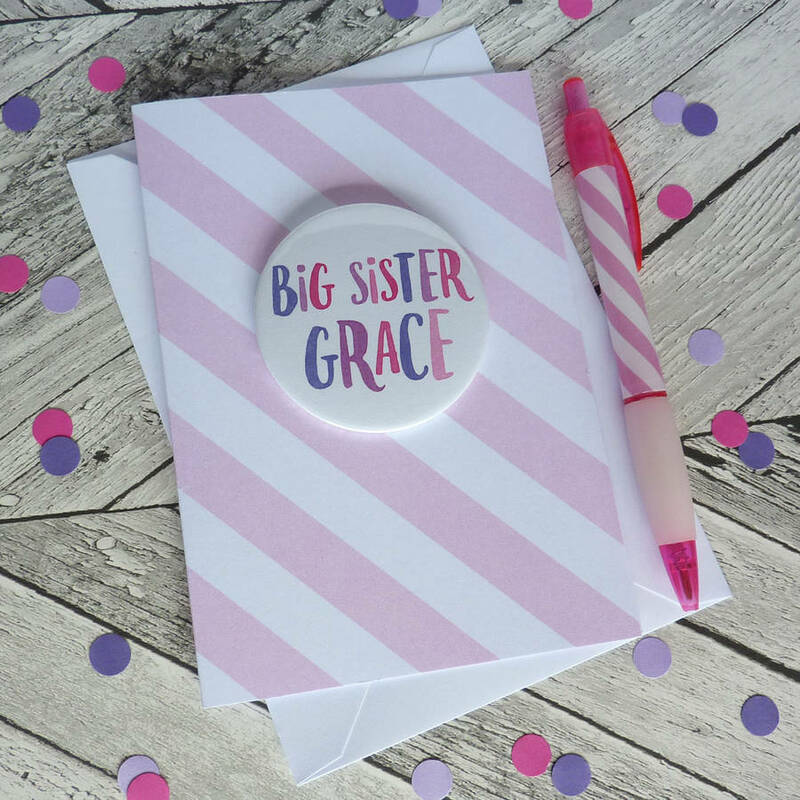 This lovely card is eyecatching and colourful, using a bold diagonal stripe design with a personalised badge or magnet to create a unique card. Also available is a matching 'Big Brother' card, please check our complete range for more details. 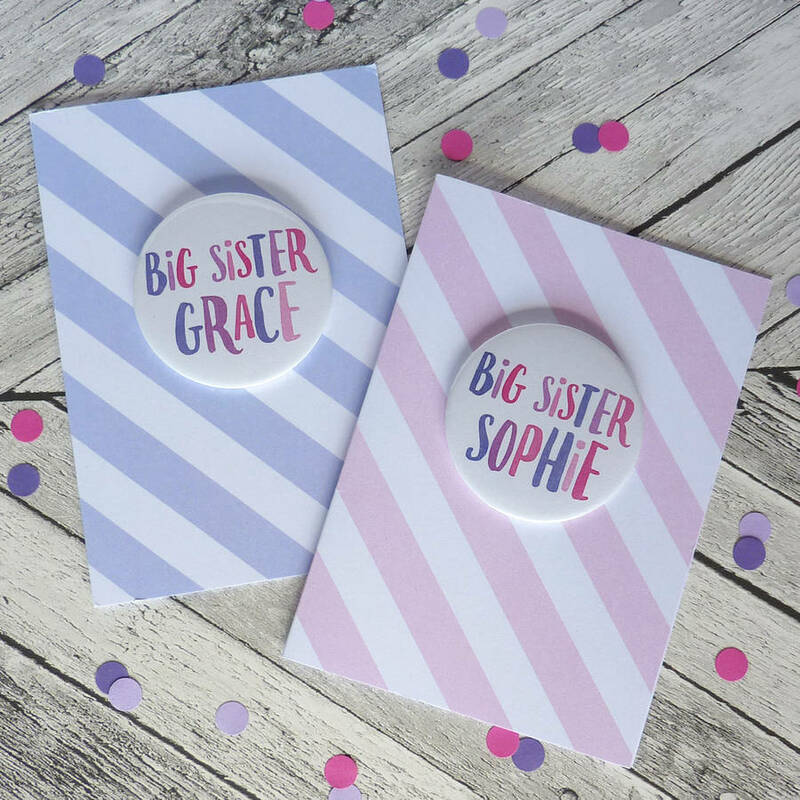 Badges and magnets are printed in a mixture of pink & lilac shades. PLEASE NOTE: Standard badges have metal pins, therefore they are not suitable for children under 3 years of age, please select the badge with safety back from the drop down menu when ordering for young children. There is also the option to have a magnet instead of a badge which makes a great keepsake. 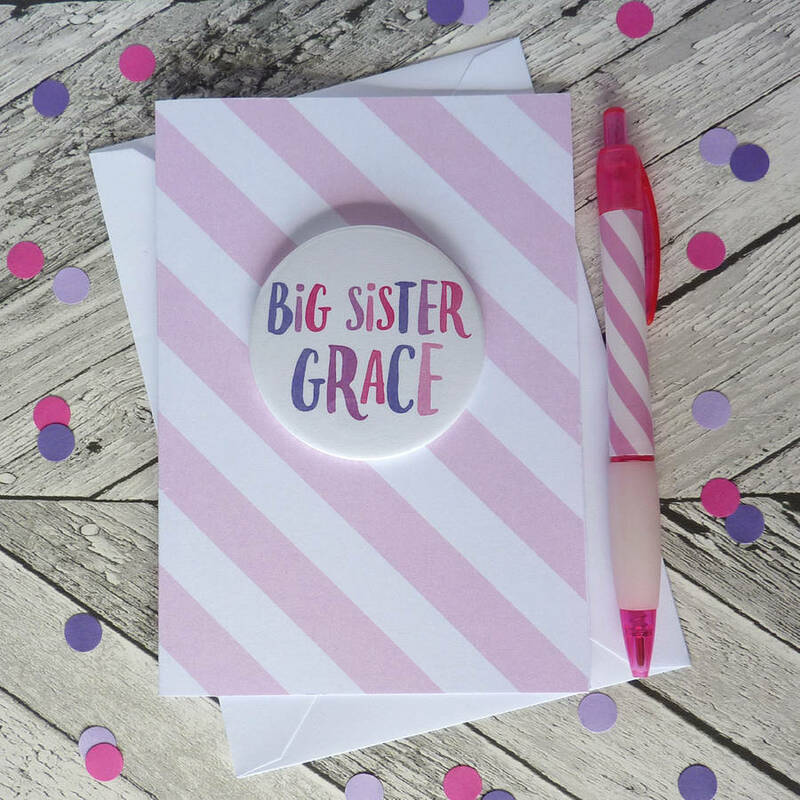 All cards are blank inside for you to write your own personal message and will be supplied with a bright pink envelope all packaged in a clear cello bag. Cards are printed on 350gsm silk card stock which is sustainably sourced and printed. Badges and magnets are made from metal & plastic and are attached to the cards using glue dots. Cards are 10.5 cm x 14.8 cm (A6) folded size. Badges and magnets are 5.8 cm wide.